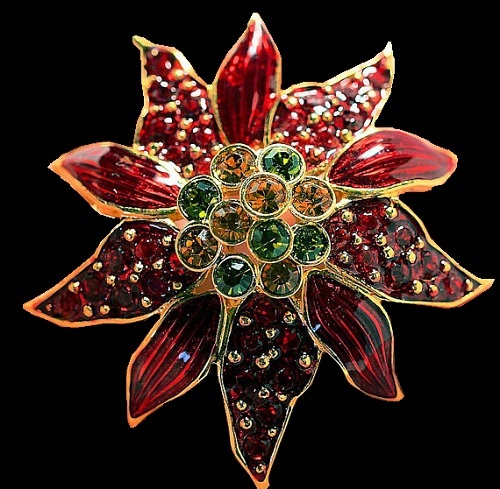 On Christmas eve it is customary in European countries to give Poinsettia as a gift. 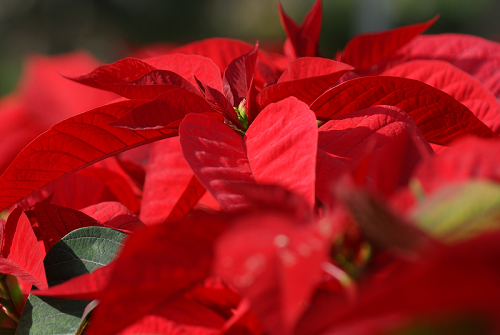 Poinsettia is a very beautiful plant, topped with huge crimson flowers resembling stars. 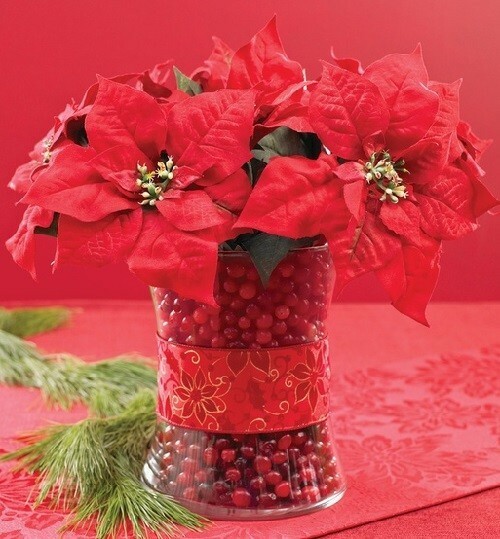 Christmas plant Poinsettia is very elegant and festive, creates a joyful mood. There are varieties of cream, white and pink color, but the most popular is still red. 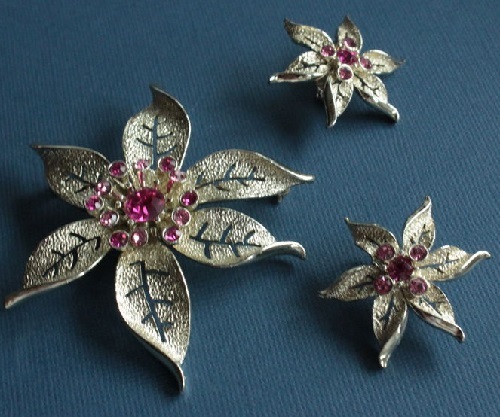 The star-shaped leaf pattern symbolizes the Star of Bethlehem, and the red color represents the blood sacrifice through the crucifixion of Jesus. 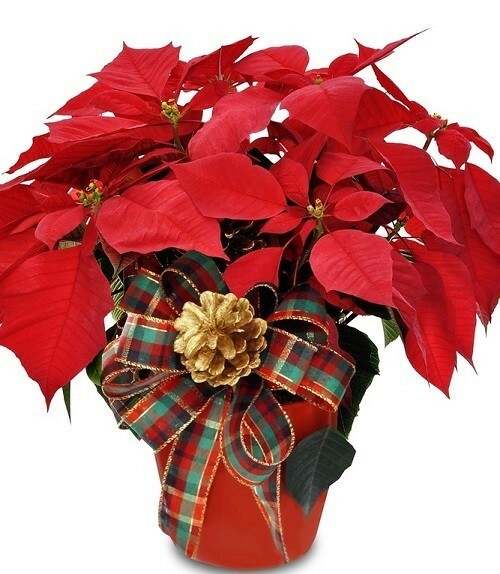 Poinsettia decorates Christmas homes, churches, offices, stores. 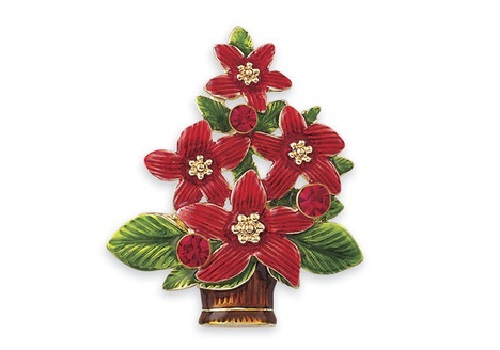 In the United States, December 12 is National Poinsettia Day. 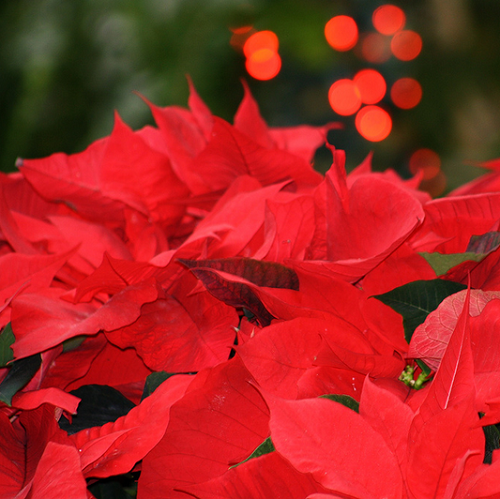 The birthplace of poinsettia is considered tropical forests of Mexico. 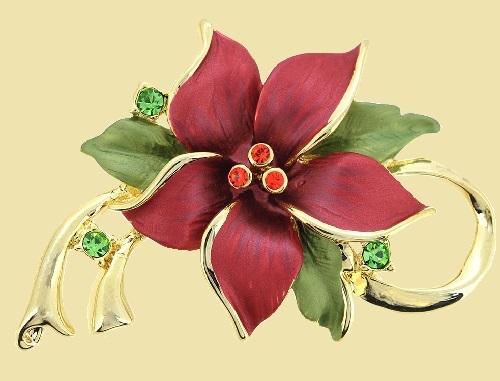 It was there American physician and botanist Joel Roberts Poinsett first saw poinsettia, the name it subsequently got. In 1834, the researcher brought several copies of a beautiful plant to the United States and distributed it in the botanical gardens. 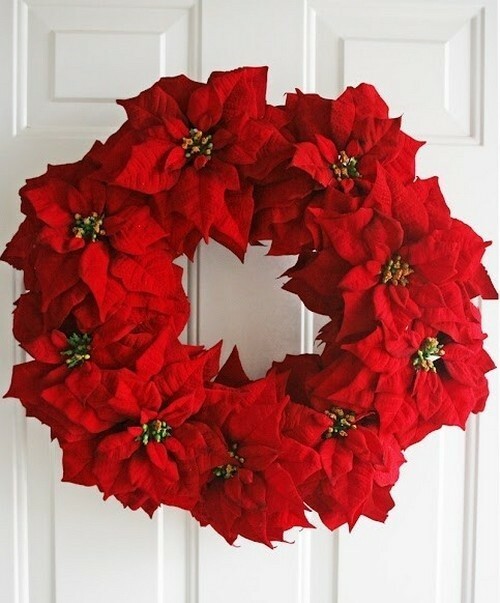 Through the efforts of scientists and plant breeders, poinsettia has been cultivated and reduced to acceptable for indoor flower size – 30-50 cm, and thus it got into the house of the Americans. 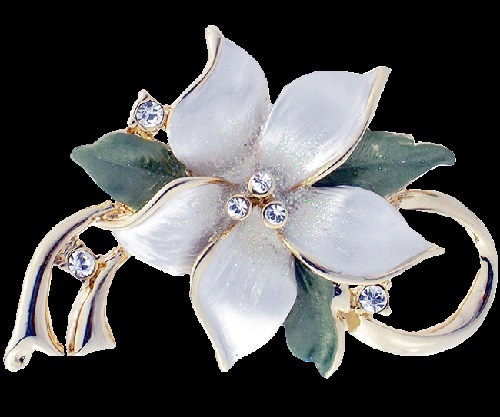 People very quickly introduced the tradition of buying a beautiful flower on Christmas Eve and decorating their homes. From America, this tradition moved to Europe. The plant’s association with Christmas began in 16th-century Mexico, where legend tells of a girl, called Pepita or Maria, who was too poor to provide a gift for the celebration of Jesus’ birthday and was inspired by an angel to gather weeds from the roadside and place them in front of the church altar. Crimson blossoms sprouted from the weeds and became beautiful poinsettias. 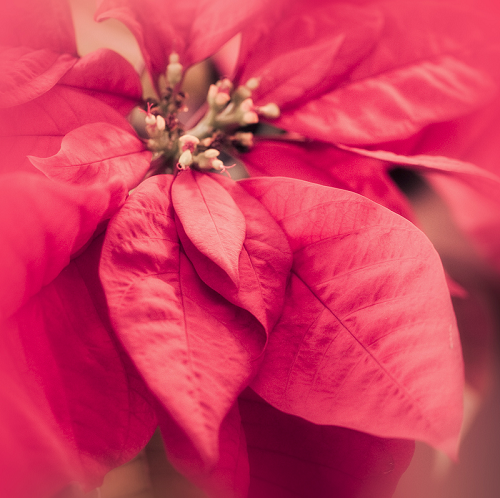 In the United States there is a common misconception that the poinsettia is highly toxic. 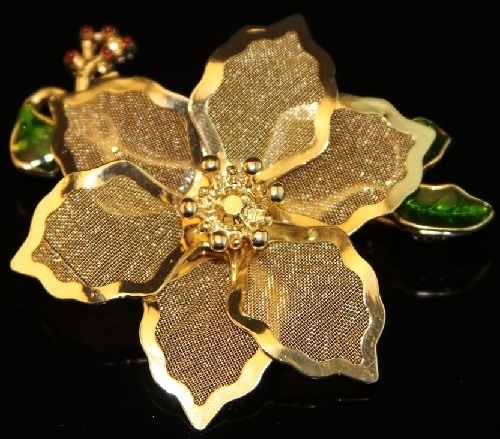 This is due to spread in 1919 urban legend of a two-year-old child dying after consuming a poinsettia leaf. This is one of the few indoor plants, period of flowering which is in December – March. 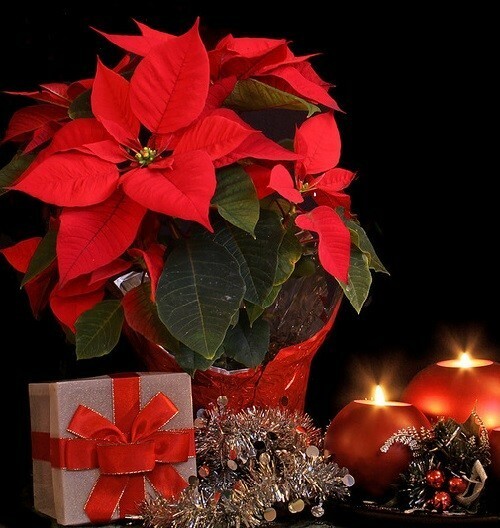 By the way, the cultivation of poinsettia in homes is rare, people buy a flowering plant just before Christmas. Poinsettia plant is flowering once a year, blooming like a miracle, it gives to the house in a new guise, becoming the center of attention. Christmas star did not immediately win the hearts of florists. In 1834 the plant was imported to Europe. But first poinsettia has not caused much interest. The first one to come to the real success was Paul Ecke Jr., the third generation of Eckes, florists from Germany. To promote the plants he sent them for free to television programs to be displayed on air from Thanksgiving to Christmas. In the early 1960s, the poinsettia has represented a tall shrub, which was difficult to keep and make bloom in normal room conditions. Since then, much has changed. Poinsettia has done a kind of long way from the bush, inflorescence which quickly fades in the form of a cut-off, to widespread houseplant. 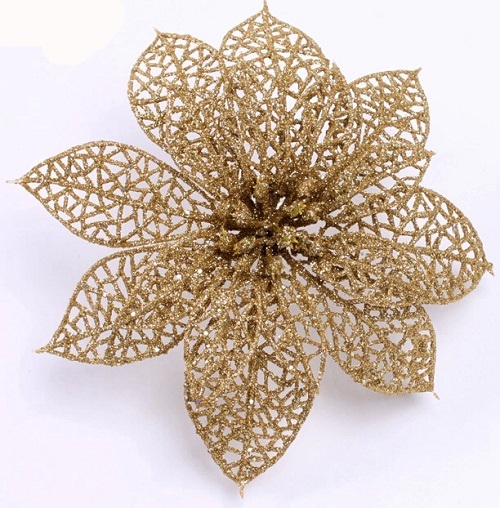 Modern varieties of poinsettia are more branched, more decorative and much less demanding; moreover, with the help of modern chemicals became possible to control the dimensions of the plant. 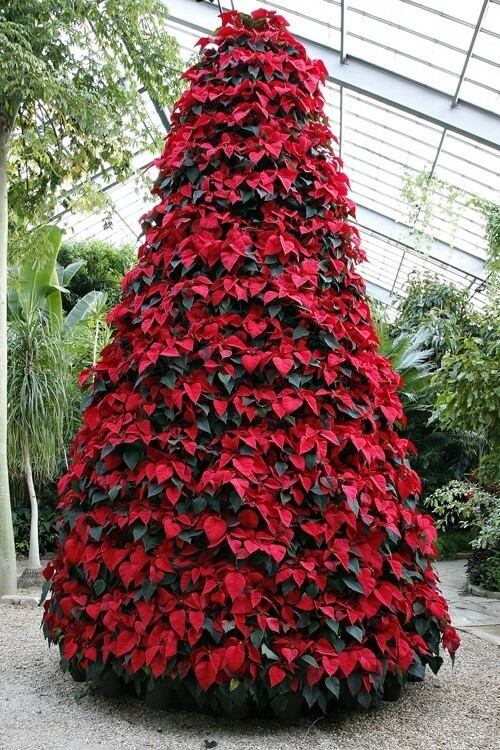 Therefore, modern poinsettia are compact (30-45 cm tall) and currently there are more than 2000 species.